Will a DUI conviction in Alabama put me in jail? How does a DUI Attorney in Alabama appeal my drivers’ license suspension, since the officer took my Alabama drivers license? If my Alabama DUI charge ends in a DUI conviction, does Alabama DUI law permit my criminal attorney to seek an expungement? What are the DUI penalties I face after a drunk driving conviction? 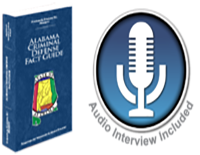 Are all Alabama criminal lawyers experts in Alabama DUI laws? How much does a DUI cost, and what part of that is my DUI lawyer cost? Can my Alabama DUI attorney help me avoid a DUI license suspension, by filing for an administrative hearing? 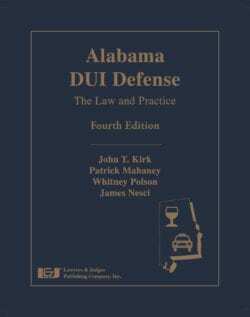 Do DUI consequences include license suspension at the Department of Public Safety in AL, if convicted? Does winning the Administrative license suspension hearing help my attorney beat a DUI conviction in AL? Why should we hire you, as our Alabama DUI attorney, for a driving under the influence case? At Polson Law Firm, the DUI defense lawyers will help you obtain the best outcome, under Alabama DUI laws. 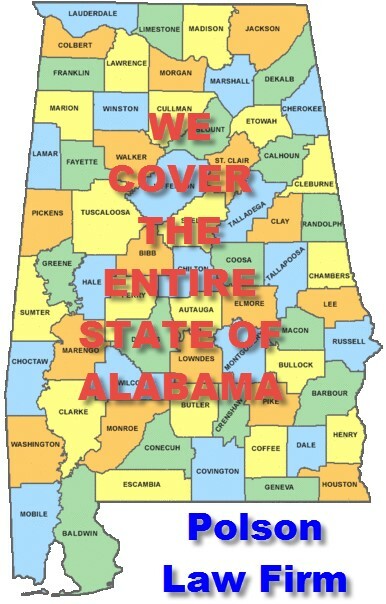 Our Birmingham-based criminal justice law firm has handled Alabama DUI cases in all Alabama counties, as well as a majority of the Municipal Court locations in Alabama, where many DUI arrests are initially arraigned. To learn how we can help fight your DUI case, please contact us today for a FREE case analysis.